Pieter Hanson was simply minding his own business when he unknowingly became an internet sensation. The 32-year-old Navy veteran was taking an exam at the University of Central Florida when his phone began erupting like Mount Vesuvius, the Washington Post reported. Believing something was wrong, Hanson hurried to hand in his test so he could check his phone and discover the source of the commotion. As Hanson sat in class, his mom posted a tweet that turned her unwitting son into the face of the #HimToo campaign, a movement that has gained popularity during the fallout of the Supreme Court confirmation hearings for Brett Kavanaugh. Often acting as an opposing force to the #MeToo movement, #HimToo tweets are frequently accompanied by claims of men being falsely accused of sexual assault. 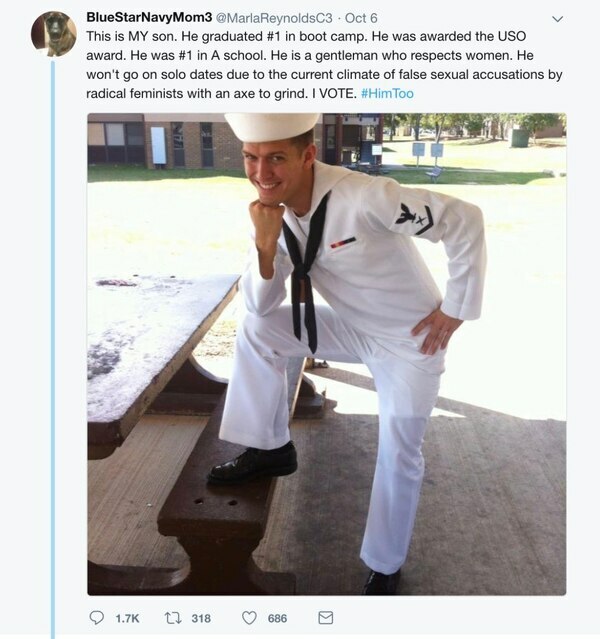 It didn’t take long before the Navy veteran, who later joined the online festivities from a newly-created account (appropriately named @Thatwasmymom), had become a meme sensation. 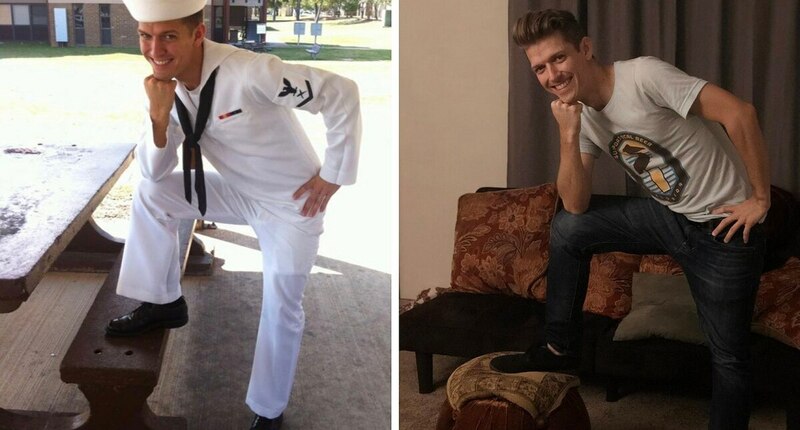 EVEN PIETER JOINED IN THE FUN, REPLICATING HIS NAVY POSE FROM HIS MOM’S TWEET.